Mimi Ewers, formerly Mimi Escoto, was born and raised in Honduras, Central America before moving to Spokane in November of 2002. She attended the Universidad Nacional Autonoma de Honduras, graduating with a degree in Business Administration and was honored as a student of "Academic Excellence". She started her ballet training in Honduras, El Salvador and Costa Rica. 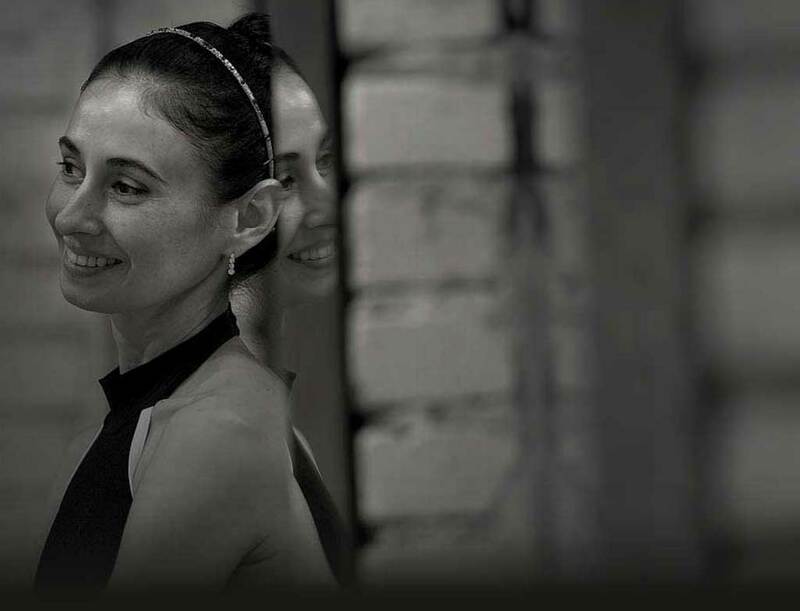 Mimi was awarded scholarships to train at Ballet Concerto of Miami and at Escuela Nacional de Danza in Guatemala, and Escuela Nacional de Danza in El Salvador, with Dr. Jurgen Pagels from Indiana University. Mr. Pagels became Mimi's mentor and for many years flew to Honduras to coach Mimi on teaching methods. In addition, she studied the RAD method and was a guest dancer at the National Ballet Company in Honduras. Mimi also opened a ballet school in the city of La Ceiba, in Honduras, which grew to be the most prestigious school in the country. In February of 2012 Mimi was invited to dance an excerpt of the Ballet "Sleeping Beauty" with the Spokane Symphony; she was also invited to dance "The Dying Swan" in 2006. The choreography being performed for the Sleeping Beauty Suite was created by Jefferson Baum, who serves as a master teacher and resident choreographer at the Aspen Santa Fe Ballet School, and serves on the Advisory Board for the Santa Fe Concert Association. In April of 2012 Mimi became the Director of Ballet Arts Academy in Spokane, having Jefferson Baum as an Associate Director. Her Guest Faculty Members are Daniel Ulbricht, Zipppora Karz, Amanda McKerrow, and John Gardner. Her students have attended Summer Programs all over the nation, like SAB, Pacific Northwest Ballet, San Francisco Ballet, Orlando Ballet, ABT, Pittsburgh Ballet, Boston Ballet, Next Generation Ballet. Many of the students have gone on to dance professionally for companies like Ballet West, Pittsburgh Ballet, Sarasota Ballet, Peter Schaufuss Balletten, Kansas City Ballet, Ballet Nebraska, Royal Winnipeg Ballet.